When designing your kitchen for the best use of space and storage, cabinet placement is crucial. Taking into consideration the size and shape of the room, along with the budget will help guide you to the best choice for your home. There are many different shapes of kitchens and cabinet layouts that are not only complementary in appearance, but are able to store all of your kitchen necessities with ease. 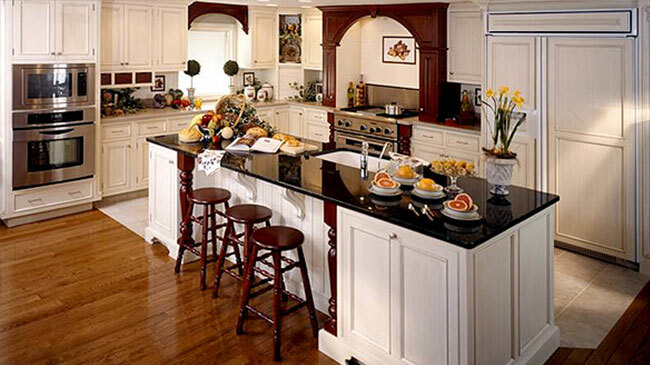 Optimal layouts for cabinets can be easily achieved for any kitchen style. An article from DIY Network lists the most common kitchen layouts as: L-shaped, U-shaped and Galley. These kitchen types often include extra amenities such as islands, breakfast bars or dining nooks. Additional elements such as a built in desk area are also currently very common. 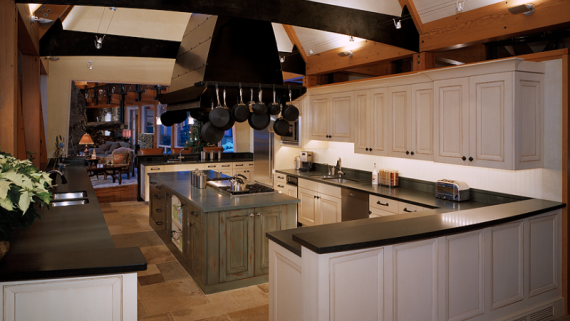 Small and medium sized kitchens work extremely well with an L-shaped layout. This particular kitchen requires a minimum of one wall to install cabinetry, appliances, sink, etc. To get the most out of cabinets and storage capacity, two walls will give you optimal space. Upper and lower cabinets can be installed on both, leaving room for the sink, stove, or other appliances. If space allows, add an island to get the most out of an L-shaped kitchen. The island will provide more area for food preparation as well as cabinet storage underneath. 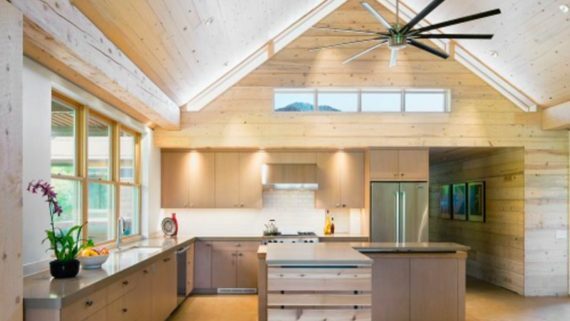 HGTV mentions that if you are looking for an open concept style kitchen, the L-shaped layout is the one to choose. Open counter tops will still provide cabinetry on the bottom, yet open the kitchen up to the living room. This design concept is not only functional but is great for socializing as well. If you are looking for a large amount of storage space, a U-shaped kitchen may be the choice for you. This layout is a good choice for homes that have a smaller kitchen area. Cabinets line three walls that provide maximum storage space. Counters are plentiful for food preparation and offer multiple surfaces for families to easily cook together without getting in the way of one another. Islands fit nicely within the center of the kitchen if space is available. This article recommends that each line of the U shape serves a particular function. For example, one line would be the stove for cooking, one line would be the sink for washing and preparing and the last line would be for the refrigerator, which stores perishable foods. The remaining areas are made up of counter tops for cooking and cabinets above and below for storage. Small kitchens can benefit from a Galley style layout. Parallel walls with cabinets and counter tops can provide dual cooking preparation areas and plenty of cabinets on the top and bottom. This article suggests installing a floor to ceiling wall unit for storage at the end of the end of the work areas for maximum storage space. Additional space for dining can be located in a another room or at the end of the kitchen area. Add a small bar for more seating and counter space. More cabinets can be installed beneath the bar for extra storage. After you evaluate your options, you will be able to decide on the best layout for your kitchen and your budget as well. Be sure to consider the storage you require now, as well as what you may need in the future as your family grows. You want to be sure not to limit your cabinet space, but make the best use of the space you have. For further information about cabinetry and remodeling, please read: 3 Things You Should Know Before Calling Your Custom Cabinetry Specialist and 3 Simple Organizing Ideas For A Practical Kitchen Remodel Project.